Turkish Prime Minister Binali Yildirim meets with his Iraqi counterpart Haider al-Abadi in Ankara, Turkey, October 25, 2017. ANKARA - President Tayyip Erdogan said on Wednesday Turkey was ready to give all support to Baghdad as it seeks to reopen a crude oil pipeline from the Kirkuk oilfields to Turkey, through which Iraq stopped sending oil in 2014. 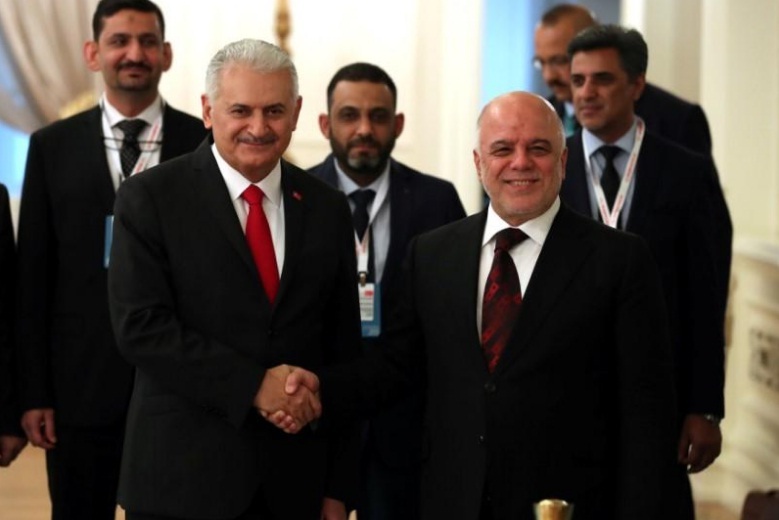 In a statement to media after meeting Iraqi Prime Minister Haider al-Abadi, Erdogan said they discussed what political, military and economic steps they could take after what he called the “illegitimate” Iraqi Kurdish referendum last month. President Tayyip Erdogan said on Wednesday Turkey was ready to give all support to Baghdad as it seeks to reopen a crude oil pipeline from the Kirkuk oilfields to Turkey, through which Iraq stopped sending oil in 2014.